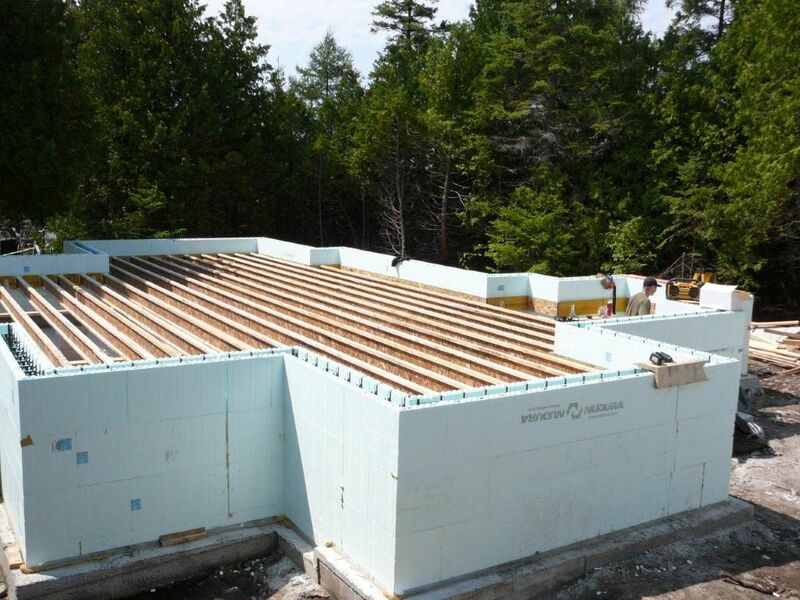 Nudura ICF (Insulated Concrete Form) building is vastly superior to traditional stick framing methods. Building technology has seen rapid advances in recent times, with builders and home owners looking for newer, more efficient ways to build homes that are stronger, more comfortable and energy-efficient, while allowing for flexibility of design and lower future maintenance costs. With Nudura, you can save time and money and get a stronger, more comfortable and more energy-efficient home. As an added benefit, we also use IsoMatrixx to supply the NUDURA insulated floor and ceiling technology systems which accentuate the insulation value of the ICF wall system. Durable: Nudura ICF walls are up to 9x stronger than a typical wood-framed wall. Comfortable: Nudura ICF walls are up to 9x more resistant to thermal bridging than a typical wood-framed wall. Energy Efficient: Nudura ICF homes are up to 2x more energy efficient than a typical wood-framed wall. Fire Resistant: Nudura ICF walls are built with steel reinforced concrete and fire retardant-treated expanded polystyrene foam so they are up to 4x more resistant to fire than a typical wood-framed wall. Sound Resistant: Nudura's double-foam insulated concrete core serves as an effective sound barrier and dampens sounds so that rooms are 3x more sound resistant than a typical wood-framed wall. Flexible: Nudura interlocking, lightweight forms make it very adaptable for creating innovative and efficient designs. Dale's Carpentry has been building ICF homes for over 12 years. Our 1st NUDURA home was a 3,600 sq' located in Southampton Ont. It is located 100' from the Lake Huron shoreline on a water front lot. Complimenting this home is the 10' main floor ceilings and 8' 6" in basement. There is approx 205lin ' of 6" NUDURA wall from footings to roof. We started building off the footing Monday morning with 4 guys that had only read the manual and 1 technician from IsoMatrixx and by noon Wed. were pouring a 1,800 sq ft basement with 6 courses of NUDURA block. 8 90 degree and 2 45 degree corners with 1 tee wall were included. This was extremely fast for first timers! We have since kept track of heating and hydro costs for 1 yr that totaled $865. This includes gas fixtures, which are forced air furnace, hot water, all cooking appliances, washer/dryer, BBQ and the fireplace. Hydro runs around $30 per month and gas around $42. THIS IS A HOME 100' FROM THE COLD WINDS OF LAKE HURON all winter long. Located 50' from the road, you cannot hear the traffic and to hear the lake rolling and blowing you need to open a window or door as the house is virtually soundproof. This one home has convinced me that to build a home conventionally is a thing of the past. Even additions are easily done without having to haul heavy forms around. The only limit is the length of the pump truck and your imagination!